Last year I set out to describe the many ways citizen science can provide economic value and earn money for citizen scientists to expand their efforts. That effort continues, but it doesn't address the main CURRENT source of citizen science funding...the government. So it's important to start looking at where it is coming from and where it is going. The first place many people look is on the CitizenScience.gov web site which hosts a searchable catalog of all Federal crowdsourcing and citizen science projects. While this is a great resource for people looking for existing projects to join (and which I will also be writing about in the future), it's not a source for funding new ideas. So we need to find a different strategy. As a former Federal employee my next thought is to review all the grants and contracts awarded by Uncle Sam over the last four years. All of this information is publicly available through the government's transparency website USASpending. Not only does it provide funding agency, amount, and summary description, it also provides a lot of secondary information such as the type of organization receiving the funds, pricing terms, and option years. But there have been long-standing data problems with the site; these are issues I worked with a lot in my former career and which I'm hoping to minimize during these analyses. There are also just inherent problems of identifying something as a "Citizen Science" award when public participation is only part of the award, or when they are developing tools that may (or may not) be useful to citizen scientists for future work, or when they are simply using data first developed by citizen scientists. So while there is much to learn it can't be considered a definitive source. For those who wish to "play along at home", the data sets for this and related analyses are available online here (use the worksheet "All Contracts"). Although U.S. Federal government support for citizen science contract awards is very low, this is only a small slice of the potential support it could receive. As both a new(-ish) field and a research area, citizen science is not well-suited for contractual support. Under government rules, contracts are reserved for organizations providing goods or services directly to the government as part of "acquisition". This is different from grants and cooperative agreements which provide "assistance" to organizations doing work for the general benefit of society, but do not provide a direct benefit to the government. This is like the difference between the government buying a pick-up truck for use by rangers in a national park, and supporting research on ways to improve pick-up truck fuel efficiency. Both are good things for government to do, but only one benefits government directly. So citizen science (much like other research endeavors) may receive much more funding through grants. That will be the subject of a future blog post. Additionally, based on the data it would appear that nearly all these awards were openly competed, however, there is no information on the RFP or solicitation numbers associated with those competitions. This is interesting information that I'd like to include so others may take advantage of it. Unfortunately since that data is not here it will need to be pulled from another data source and will also be the subject of a future blog post. During this four-year period only a surprisingly small number of contracts were awarded to support citizen science; less than one million dollars per year. And of those almost all of the money came from NASA for it's astronomy-based programs (including support for various Zooniverse projects like Disk Detective). And the money went to teams of existing (professional) research teams at large research institutions, not to citizen scientists or to directly support work by individuals. Instead the support was for more "systemic" programs that build up the field in general or use citizen science data. Approximately $3.6 million was awarded in either base or potential option years, for a total of approximately $900,000 per year. There were 16 unique awards made (four per year) at an average size of , with an average size of approximately $240,000. All but one award was made to a large research university/foundation or large non-profit organization. Combine full results of all searches into a single spreadsheet, while maintaining the search term and source file for each listing, and separating by assistance awards (grants), subawards, and acquisition contracts. 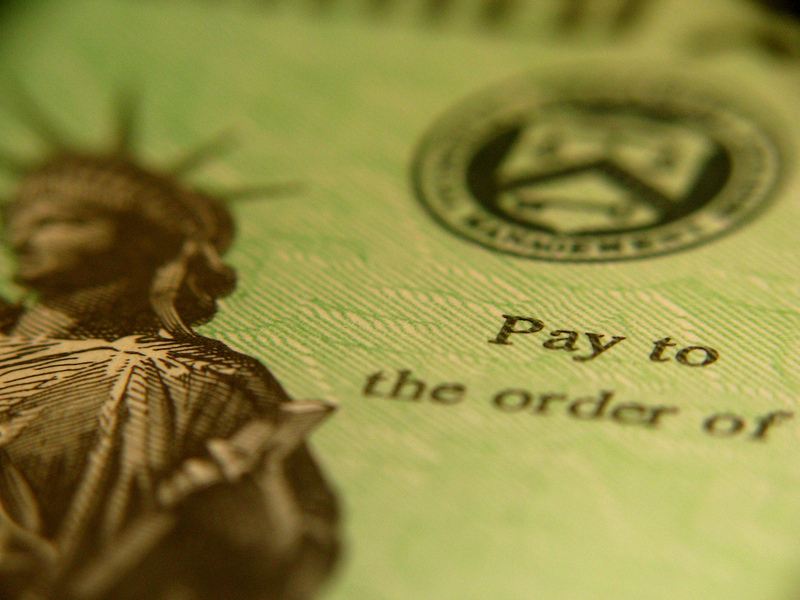 Review all non-monetary transactions for potential data errors. In some cases a contract would come up with no dollars attached, and upon further review in USASpending a grant using the same Federal award ID number would appear with money attached. In these cases the award was presumably miscoded by type and the new transactions were added to the spreadsheet. Eliminate all remaining non-monetary transactions, such as no-cost extensions. Review the project descriptions of each award to ensure they are actually associated (in some meaningful way) with citizen science. While Federal contracts are an available source of citizen science funding, they are not ideally suited for these projects and agencies have not used this vehicle frequently over the last four years. Instead we need to continue looking at other alternatives, such as Federal assistance funding, as well as funding from State/local governments as well as private sources. So our research will continue over the next few weeks to identify more promising options for everyone. This week there has been much excitement about a fifteen year-old Canadian high school student from discovering a lost Mayan city. The media (rightfully) like to highlight stories of young people making discoveries beyond their years. And there is always a mystique about the Mayans and lost cities. So when the news first broke outlets such as CNN, FoxNews, IFLScience, and others raced to tout the findings. Unfortunately they may have rushed too quickly. As a non-professional using astronomy techniques to identify Mayan constellations, overlaying them against a map of previously discovered cities, hypothesizing of a missing city, and then attempting to confirm through satellite imagery, this is absolutely citizen science. So when this news first began to break I got very excited and wanted to link to it as well. It's always fun to share the accomplishments of my fellow citizen scientists. But was it too good to be true? Apparently so. While the jury is still out, significant doubt has started creeping in about whether this truly is an archeological anomaly, whether the Mayan's organized their cities around constellations, and even whether we fully understand what those constellation's are. So many news organizations may end up with egg on their face. This is very unfortunate. For starters I feel bad for the kid...he's doing good work and should be applauded regardless of the eventual findings, but I fear the backlash (if he turns out wrong) could be harsh for someone so young. I also feel bad for the news organizations, who wanted to show young people the potential they posses. But mainly I feel bad for the citizen science field. We work so hard to gain respect amongst both professionals and the public, and just as we have a great story to tell, it all falls apart. In the end, its a great reminder that we must not only provide the same respect to citizen science as we do "professional" science, but we must also provide the same healthy skepticism as well. 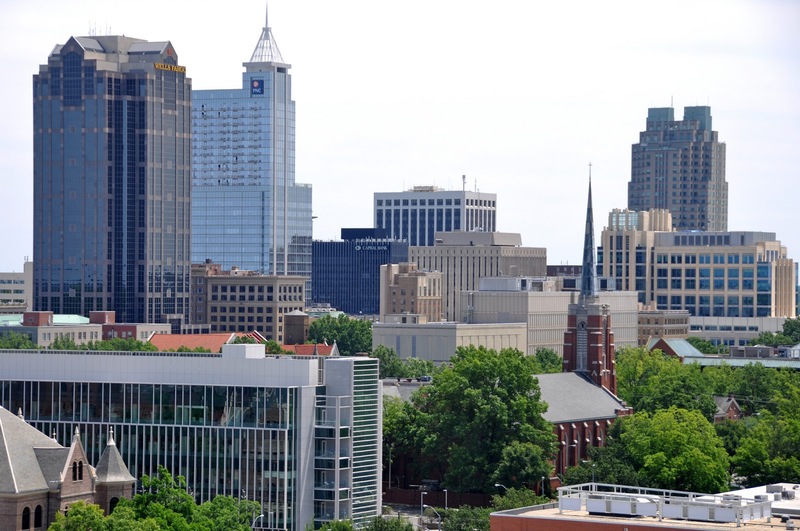 We need to verify facts, solicit independent opinions, and provide time for careful analysis. No different than any other profession. It may be difficult sometimes and may delay announcement of some exciting discoveries, but it keeps us healthy in the long run. Citizen science is great, and it’s even more exciting when a teen does it. When folks don’t have the academic background to understand the standard school of thought on a subject — or understand why it has become the general consensus — they’re more likely to come up with novel and cool ideas. And maybe there’s some nugget of something in Gadoury’s research that will go somewhere. But that doesn’t mean we’re doing him — or the researchers who have devoted their lives to studying this stuff — any favors by letting this story run wild. The Holiday season is here again and your shopping has begun. Shopping for some people is easy, but what about the citizen scientist in your family...what do you get them? And what gifts can a citizen scientist buy to share their love of this exciting field? Fortunately your friends at OpenScientist are here to help. Below is a small collection of items we think any citizen scientist would love to give...or get. No what your age or or interest I hope you can find something below. All on top of the many other items on my previous Citizen Science Holiday Gift guides from the last few years (2014 and 2012). One key difference for this year is that I've teamed up as an Amazon affiliate for some of these items, meaning that if you purchase after linking from this site we receive a small commission. Just purchase from any of the links below or search for all Amazon Citizen Science products. This won't make me rich, but I do promise to use 100% of the money I receive will go to continue providing more tools and information on this site. So it's a win--win for all of us! Do-It-Yourself Gamer Kit: Most people buy video games to play...but citizen scientists make their own! 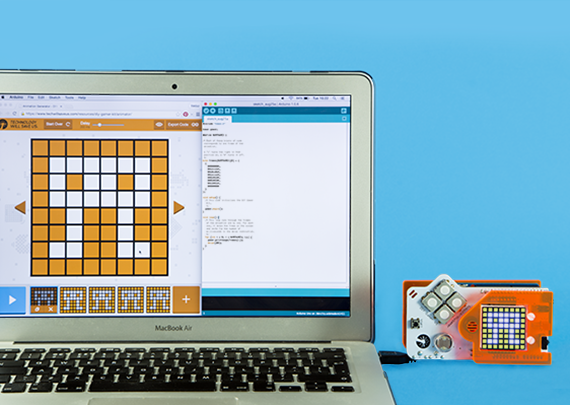 The $98 DIYGamer Kit provides you all the hardware pieces to build a handheld game console, as well as software to design games that run on it. For more advanced gift-givers can you can buy versions that require soldering, while others are available solder-free for beginners. And this is just the start. TechnologyWillSaveUs also sells DIY Synthesizer, Biology and other kits for the Maker crowd. So pick the one your friends will like most and help them start building! 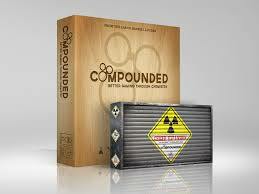 Family Game Night: Compounded: The Board Game lets you and your family be the lab manager. Collect and trade elements to create new and exciting compounds before your opponents do...and before they cause an explosion! At $27 its the perfect gift for the chemists and biologists in your life. If you need the perfect board game for biologists, try Peptide the Card Game, where players collect amino acids and compete to create new proteins. 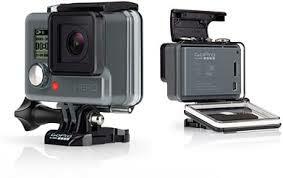 GoPro Video: Perfect for recording all your scientific field work on beautiful 1080P High Definition video. Use it to verify findings for others, records data for review and analysis at home, and capture the joy of excitement to be shared with your loved ones (and friendly citizen scientists). For $139 the GoPro Hero Starter Bundle comes complete with a head strap for hands-free recording of all your adventures. I've used it myself for recording scuba dives and nature hikes, and bet the lucky gift receiver will find many more good uses too. Cooking for Geeks: Unfortunate title aside, Cooking for Geeks is a great way to not only learn about the science behind the food we eat, but how to have fun with it too. You not only get recipes optimized by the science, you also get tips on ways to experiment on your own to improve the food you eat. 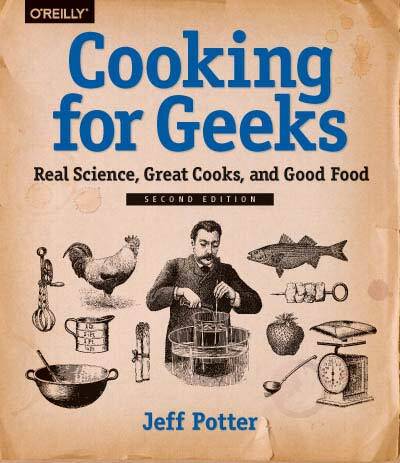 The book also applies the scientific techniques used in the citizen science world to improve cooking, such as easy ways to properly calibrate kitchen equipment. Perfect for the amateur investigator in your house. 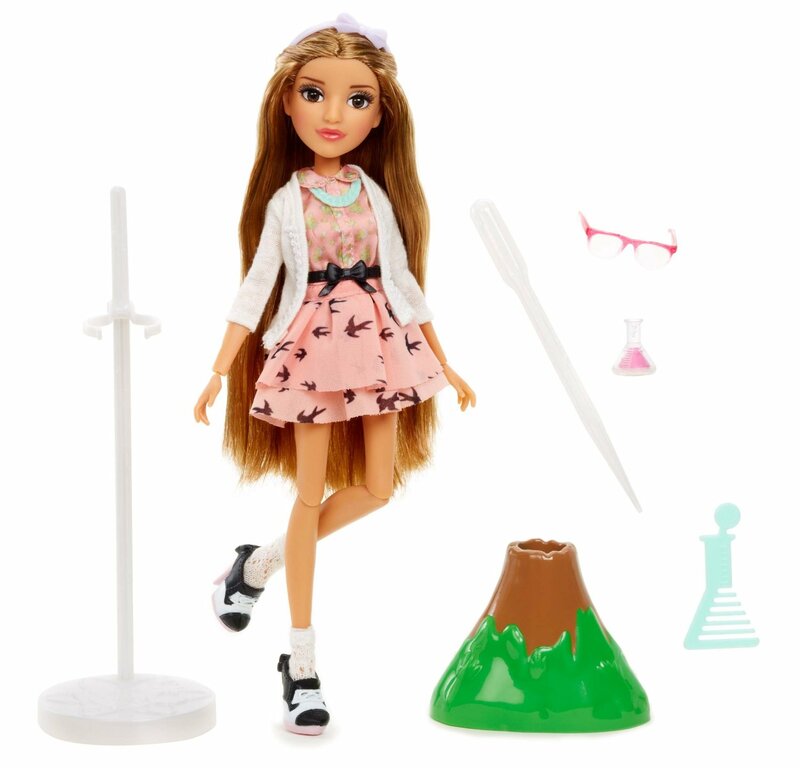 Project MC2 Dolls: Mixing science and play, the MC2 line of dolls are perfect for young girls looking to enter the world of science. They come with their own clothes and accessories...in this case safety goggles and a real working volcano experiment! I've featured the Adrienne Attoms doll, but you can also get the Bryden Bandwidth, McKeyla McAlister, or Camryn Coyle dolls. You can also buy the MC2 Ultimate Lab Kit to conduct additional experiments of your own! Science Barware: After a long day of research every citizen scientist needs a way to relax. So help them out with some fun science-themed bar and glassware. With these your family and friends can drink out of the very same types of containers used in their research. 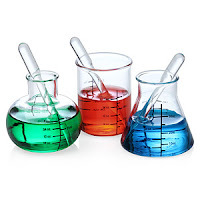 Thinkgeek has a couple of fun items, including the Chemist's Cocktail Kit (with an Erlenmeyer flask mixer and test tube shot glasses), Laboratory Shot Glasses or the Erlenmeyer Flask Coffee Mug. 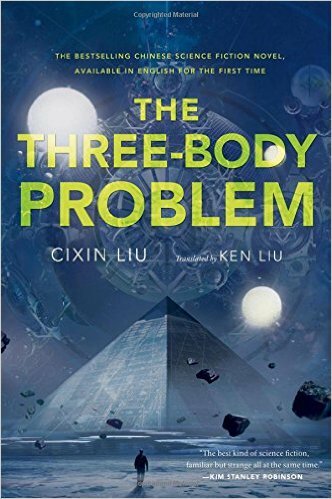 Three-Body Problem: This is the highly-acclaimed bestseller now translated into English. Winner of the Hugo Award and a Nebula Award nominee, The Three-Body Problem chronicles what happens when Chinese scientists send radio signals out into the Universe to contact alien life. When the signal is received by a potentially dangerous alien species, humanity splits into different factions figuring out what to do as Earth awaits its fate. Given the popularity of extra-terrestrial search (SETI) projects among citizen scientists, the insights offered into the Chinese scientific community, the human emotions explored, and the literary acclaim this book has received, it's a great gift for citizen scientists wanting a good beach read as they relax from their research. Great Courses: What better way to learn about a new area of science than by attending a college-level course taught by world-renowned professors. While there are a few different companies offering this type of content, I've found the Great Courses are some of the highest quality (and with some of their great sales, some of the highest value too!). 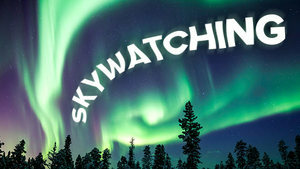 If you want something for the space enthusiast in your family I highly recommend Skywatching: Seeing and Understanding Cosmic Wonders. It not only highlights many of the wonders out there in the universe, but shows you how to witness them yourself with just a small telescope or binoculars. Letting them see these amazing sights with their own eyes. Others I've enjoyed and which you may also find interesting include Leonardo da Vinci and the High Italian Renaissance (famed artist and citizen scientist), and Roots of Human Behavior which uses the behaviors of apes and monkeys to help us understand where our humanity comes from. uBiome Microbial Analysis: Everyone knows about the world of bacteria that live out in the world, but there is also a whole world of bacteria that live inside every one of us. These are almost always good bacteria that help our bodies function, aiding digestion and performing other important tasks. But each person's is different. As their web site says, "Our microbes outnumber human cells 10:1. Like the rainforest, the healthy human microbiome is a balanced ecosystem. Microbes perform essential functions such as digesting food and synthesizing vitamins. Studies have also linked the microbiome to human mood and behavior, as well as gut health, human development, and metabolic disorders." With uBiome you can collect DNA from various parts of your body and send it for a quick analysis, making it the perfect gift for the biologist in your family. Kits are available for between $90 and $400, depending on the amount of data you want.